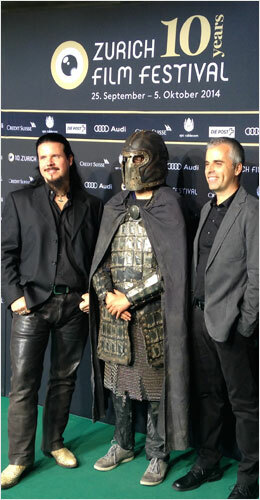 Bastian Zach and Matthias Bauer are screenwriters, they wrote the script for the Swiss/Austrian horror movie "One Way Trip 3D" and the international Viking movie "Northmen - A Viking Saga". They are also novelists, their historical mystery thrillers "Morbus Dei: The Arrival", "Morbus Dei: Inferno" and "Morbus Dei: The Sign Of Aries" are well-received by critics and have become bestsellers. The trilogy has been sold to US, Spain and Russia and is already opted for an international movie-adaption. ZZach/Bauer’s novels "Blood of the Picts" and "Blood of the Picts: Firestorm" were also rousing success. Their new novel, a big historical family saga set in the Thirty Years War’, will be released by Random House Germany (Heyne) in 2019. Currently Zach/Bauer are working on several novels and scripts for international movie productions. Bastian Zach was born in 1973 in Leoben/Austria. After graduating master class at the "Graphischen" in Vienna he worked for several advertising and media agencies. He lives as a professional writer in Vienna/Austria. MMatthias Bauer was born in 1973 in Lienz/Austria. After studying history and folklore he worked for publishing companies and exhibitions. He lives as a professional writer in Tirol/Austria.